What is Additive Manufacturing and its uses? 3D printing, Additive Manufacturing (AM), or Rapid Prototyping (RP) is the process of fabricating objects by building materials by adding layers with the help of a 3D modeling software such as AutoCAD. This differs from traditional manufacturing techniques such as casting, molding, or subtracting materials from an existing starting material. Plastics or resins, metals and alloys such as titanium Ti-6Al-4V alloy and sterling silver, and ceramic materials such as oxides and nitrides. These materials are typically in powdered form, although alternatives like inks may also be used. Which industries use 3D printing? Industries that currently used 3D printing include aerospace and aircraft, automotive, biomedical devices, dental, consumer electronics, and defense, pharmaceutical manufacturing, photovoltaics, space, jewelry, and consumer goods manufacturing. 3D manufacturing is cost and time efficient; allows for the fabrication of customizable, complex designs that would be impossible to produce via casting or machining, in addition to requiring no tooling. Because the volume of material used (and thus waste material generated) is much lower than in traditional subtractive manufacturing techniques, 3D printing is becoming increasingly important green technology. What are the different 3D printing techniques? 3D printing techniques include Direct metal laser sintering (DMLS), selective laser sintering (SLS), Powder bed technologies such as Selective Laser Melting (SLM), Electron Beam Melting (EBM), and Precision inkjet printing; Blown powder technologies such as Laser Metal Deposition or Laser cladding. Methods can include various types of sintering and extrustion. Is it possible to 3D print graphene foam? Yes! 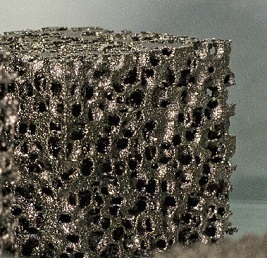 3D graphene foam is typically produced via chemical vapor deposition, but researchers have been able to 3D print low-density graphene foam by using a mixture of nickel and sucrose and a CO2 laser. Read more about the experiment at http://pubs.acs.org/doi/abs/10.1021/acsnano.7b01987. American Elements is the leading manufacturer of advanced materials for additive manufacturing (AM), 3D printing, and rapid prototyping (RP) in the aerospace, automotive, biomedical devices, dental, consumer electronics, and defense industries. 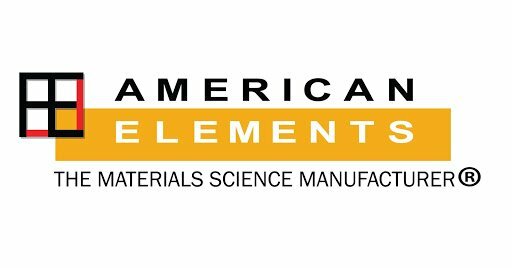 American Elements manufactures water and gas atomized, spherical metallic powders and spray-dried ceramic powders with consistent microstructure and tightly controlled morphology and particle size distributions tailored to the unique requirements of our customers. Our powder products are engineered to be agglomerate-free with extremely low oxygen and carbon content, high strength-to-weight ratios, enhanced flowability and processability, and optimal performance for a variety of additive manufacturing techniques. Our efficient production processes and high-tech materials allow economical production of innovative components according to the very highest industry standards compliant with ISO 9001, ISO 14001 and OHSAS 18001. We also custom produce novel materials to customer specifications for research and continuing innovation. In addition to supplying materials, American Elements offers in-house additive manufacturing services including direct and selective metal laser sintering, selective laser melting, blown powder techniques, and precision inkjet printing and to produce concept models, functional prototypes and finished parts for our customers. Our engineers can assist with all stages of the 3D printing process, from design and materials selection to testing and certifying the final product. Let our materials and additive manufacturing expertise help bring your product concepts to life. RPM Innovations specialized in laser freeform manufacturing, a high temperature additive manufacturing (3D printing) technique. 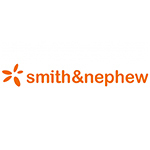 One of their projects required a highly corrosion-resistant metallic powder with a specific particle size, and they turned to American Elements to determine the material best suited to their requirements. Utilizing their broad experience with 3D printing materials, American Elements engineers investigated numerous alloy powders composed of different ratios to meet the demanding specifications of the application. The engineers determined that a unique blend of nickel chromium was the best-performing material under the conditions that the laser deposition required. Initial testing proved that the nickel chromium powder performed as expected, and RPM was able to satisfactorily produce the finished product in a timely and cost-effective manner. Turbines, propellers, rocket engine and satellite components, thrusters, interior parts, hardware and control systems for aircrafts, tools for fabricating composite parts, strong and lightweight components that enhance aerodynamics and increase fuel efficiency. Additive Manufacturing utilizes many approaches to reproduce 3D objects created by computer-aided design (CAD). Object creation is achievable by adding layer-upon-layer of various materials. The methods used can employ many different materials and does not require tools or a block of raw material. Additive Manufacturing can decrease production time over using conventional manufacturing techniques. What is Laser Melting Deposition ? The design involves a laser beam used to form a melt pool on a metallic substrate, into which powder is fed. The powder melts to form a deposit that is fusion bonded to the substrate. CNC robot or gantry system can manipulate both laser and nozzle, which delivers the powder. The process of laser deposition has several names. These include: Laser Metal Deposition (LMD), Direct Metal Deposition (DMD), Direct Laser Deposition (DLD), Laser Engineered Net Shaping (LENS), Laser Cladding, Laser Deposition Welding, and Powder Fusion Welding. What is Direct metal laser sintering (DMLS)? Direct metal laser sintering an additive manufacturing (AM) technique uses Yb (Ytterbium) fiber laser. The laser discharges into a bed of powdered metal aiming at points in space defined by a 3D model. This melts, or rather, welds the material together to create a solid structure. Selective laser sintering fuses thin layers of atomized fine metal powder using a high-power laser beam. The metal powder is evenly distributed using a coating mechanism onto a substrate plate, usually also metal, within a tightly controlled atmosphere of inert gases such as argon or nitrogen. On distribution of each layer, individual 2D slice of the part geometry is then fused by selectively melting the powder with a high-powered ytterbium laser whose beam is aimed in the X and Y directions with two high frequency scanning mirrors. The laser energy is intense enough to permit full melting (welding) of the particles to form a solid metal. The process is repeated layer after layer until the part is complete. What is Direct Metal Deposition (DMD)? Direct Metal Deposition is an additive manufacturing technology using a laser to melt metallic powder. The laser beam and the powder spray are focused and scan the substrate to deposit the metal. Unlike most other technologies, it is not based on a powder bed but relies on a feed nozzle to propulse the powder into the laser beam. It is similar to Fused Deposition Modeling, as the nozzle can move to deposit the fused metal. What is Selective Laser Melting (SLM)? Selective laser melting (SLM) uses a comparable process to direct metal laser sintering (DMLS) but with slightly different technical details. Selective Laser Melting uses a laser as the power source to sinter powdered material (typically metal). A laser automatically aimed at points in space defined by a 3D model binds the material together to create a solid structure. In Selective laser melting the material is fully melted rather than sintered. This allows different properties (crystal structure, porosity, and so on). What is Electron Beam Melting (EBM)? Electron Beam Melting uses thermal energy to selectively fuse defined regions of a powder bed. Beam position, spot diameter, and power instructions are generated for each layer, which is then “printed” by moving the electron beam along the surface of the powder bed. After completing a layer, the build tank is lowered, fresh powder is raked over the work surface, and the process continues until the component is complete. Because ePBF requires a hard vacuum to prevent scattering of the electron beam, it frees EBM-fabricated metals of tramp contaminants. The high temperatures (700 to 1000 °C) used in the powder bed foster material consolidation, which leads to stress-free parts that retain their shape upon cooling to room temperature. What is Precision Inkjet Printing? Precision inkjet printing is a type of computer printing that recreates a digital image by propelling droplets of ink onto paper, plastic, or other substrates. Inkjet printers are the most commonly used type of printer, and range from small inexpensive consumer models to expensive professional machines. Laser Metal Deposition, or LMD for short, is also known as direct energy deposition (directed energy deposition) or laser cladding. A laser generates a melt pool on the surface of a metallic substrate, after which metal powder is injected through a nozzle, producing a metallic bead. Beads are deposited into layers to add additional surfaces to other components or to fabricate entire components. Atomization is a type of powder metallurgy accomplished by forcing a molten metal stream through an orifice at moderate pressures. A gas is introduced into the metal stream just before it leaves the nozzle, serving to create turbulence as the entrained gas expands (due to heating) and exits into a large collection volume exterior to the orifice. The collection volume is filled with gas to promote further turbulence of the molten metal jet. Air and powder streams are segregated using gravity or cyclonic separation. Most atomized powders are annealed, which helps reduce the oxide and carbon content. Similar to Stereolithography, the high-quality 3D printer PolyJet processes use a UV light to crosslink a photopolymer. However, rather than scanning a laser to cure layers, a printer head jets tiny droplets of the photopolymer (similar to ink in an inkjet printer) in the shape of the first layer. The UV lamp attached to the printer head crosslinks the polymer and locks the shape of the layer in place. The build platform then steps down one layer thickness and more material is deposited directly on the previous layer. This is process is repeated until the part has completed printing. Direct-ink writing or Robocasting is an additive manufacturing technique in which a filament of ink is extruded from a nozzle, forming an object layer by layer. In micro-stereolithography, inks are deposited through one or more nozzles onto various substrates, creating a component layer by layer with a continuous filament. The patterns it generates range from simple one-dimensional wires to complex 3D structures. The nozzles are attached to print heads, which are mounted to a computer-controlled translation stage. Filament diameter is determined by nozzle size, print speed, and rates of ink flow and solidification. The time required to build a final part is determined by the distance from the nozzle to the substrate and by print speed. In Electrophoretic Deposition, two-dimensional images are projected on a digital photomask made from a micromirror or liquid crystal on a silicon chip. An ultraviolet light-emitting diode illuminates the miniature display, which reflects light and an image of the component to be fabricated through a series of reduction optics onto a photopolymer liquid resin. As the resin cures, it hardens into the shape of the image. The substrate holding the resin is then lowered using a motion-controlled stage, and the next 2D slice is processed. What is Microfluidic Flow Focusing? What is Ultrasonic Additive Manufacturing (UAM)? UAM is an additive manufacturing technique based on the ultrasonic welding of metal foils and CNC contour milling. High-frequency (typically 20,000 hertz) ultrasonic vibrations are locally applied to metal foil materials, held together under pressure, to create a solid-state weld. CNC contour milling is then used to create the required shape for the given layer. This process is then repeated until a solid component has been created or a feature repaired/added to a component. UAM has the ability to join dissimilar metal materials of different thicknesses and allows the embedment of fiber materials at relatively low temperature, (typically less than 50% of the metal matrix melting temperature), and pressure into solid metal matrices. Bioprinting is the process of fabrication of tissues and organs using living cells. This type of 3D printing is extremely complex and usually used to regenerate and transplant organs within the medical field. What is Simultaneous Multi-material 3D printing ? Multi-material 3D printing alloes the use of two or three resins in a single print job to simulate overmolding or produce trays of assorted parts. Dramatically expanding the possibilities of additive manufacturing, multi-material 3D printing software combines several resins in specific concentrations and microstructures to produce digital materials that vary in translucency, rigidity, thermal resistance and color. Stereolithography is a technique or process for creating three-dimensional objects in which a computer-controlled moving laser beam is used to build up the required structure, layer by layer, from a liquid polymer that hardens on contact with laser light. What is Direct Digital Manufacturing (DDM)? DDM is a process that uses additive fabrication technologies to directly fabricate finished components and subassemblies of consumer products from a 3D CAD file. These fabrication and assembly tools include jigs and fixtures. This involves creating tooling for the molding, casting or forming of products. This application can be either the direct production of tooling, or the indirect creation of tooling from a pattern, that is constructed from an additive fabrication technology. What is Rapid Prototyping (RP)? Rapid prototyping allows for quick fabrication of scale models of parts that results in a better quality/price ratio and faster production than traditional prototyping techniques. Rapid prototyping utilizes various 3D printing technologies such as Fused Deposition Modeling (FDM), Selective Laser Sintering, Selective Deposition Lamination (SDL), Binder Jetting (or Binder Jet), Triple Injection (Polyjet), Digital Light Processing (DLP), and Electron Beam Melting (EBM). Unlike removing material from a stock in the machining process, layered manufacturing builds the solid volume from a CAD model by successively adding material layer by layer. Since parts are fabricated layer by layer, build orientation plays a critical role in the layered manufacturing process as it can improve part quality in terms of accuracy and surface finish, reduce the support volume required, support contact area and build time. It also affects the part strength and cost of manufacturing. Powder bed fusion (PBF) is a term that encompasses the additive manufacturing techniques of Direct metal laser sintering (DMLS), Electron beam melting (EBM), Selective heat sintering (SHS), Selective laser melting (SLM) and Selective laser sintering (SLS). What is Organic Vapor-Jet Printing? Organic Vapor-Jet Printing (OVJP) is a technique capable of printing very fine crystalline structures over a large surface area that requires no solvents, additives or post-processing. Applying heat to both evaporated starting materials and an inert gas like nitrogen creates a vapor, which travels through a nozzle pointed at a cooled surface. The material then condenses on the surface in a thin crystalline film. The formation of the film can be controlled by fine-tuning the printing process. Applications include OLEDs, thin-film transistors, photovoltaic cells, and drug delivery, as single doses of a medication can be printed on a dissolvable strip, microneedle patch or other dosing device.